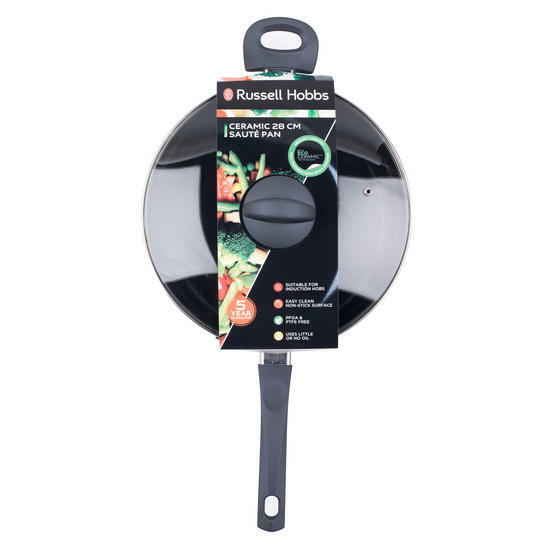 Designed to complement busy kitchens, this sauté pan and frying pan set from Russell Hobbs make it easy to cook your favourite meals. 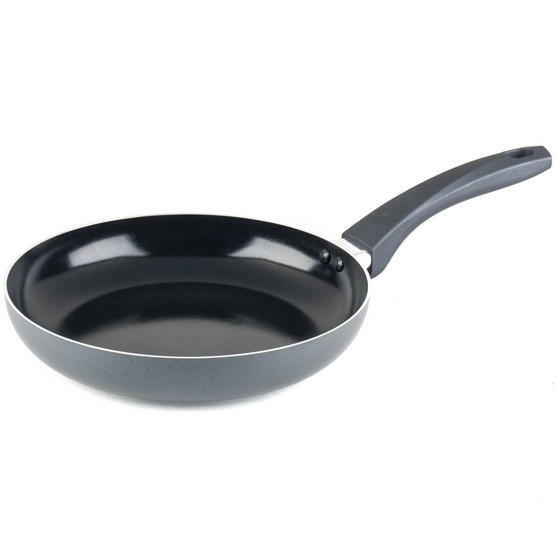 With a ceramic non-stick interior coating, you can use little oil to cook your ingredients without fear of them sticking the pans. 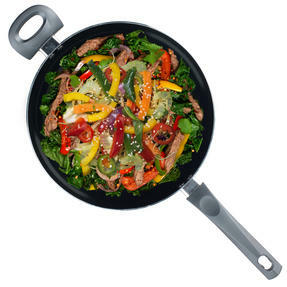 This coating also aids washing up afterwards, with leftover food and debris easily coming away from the surface. 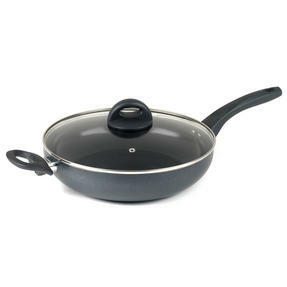 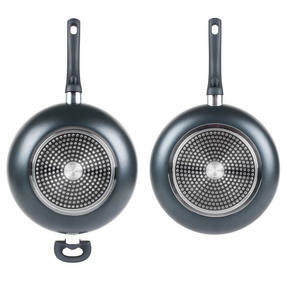 Both pans measure 28 cm and are well constructed with a pressed aluminium body and ergonomic Bakelite handle. Perfect for professional chefs and for novices in the kitchen, this sauté and frying pan set from Russell Hobbs is sure to impress. 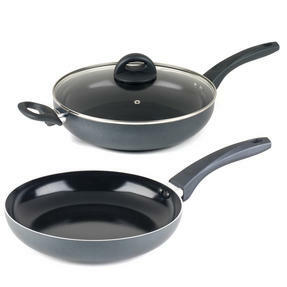 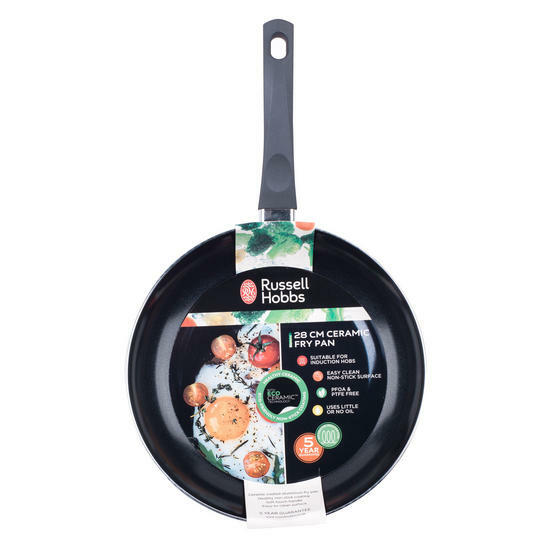 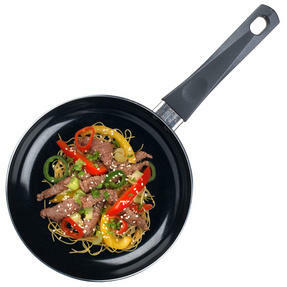 This impressive set includes a 28 cm sauté pan with glass lid and a 28 cm frying pan, perfect for all your cooking needs. Both pans in this set have a sleek black ceramic interior coating that is non-stick and easy to clean, making washing up simple.